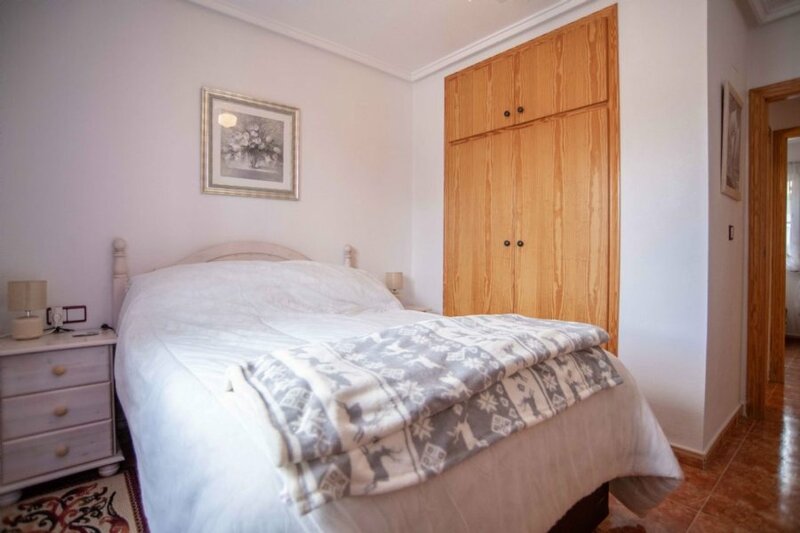 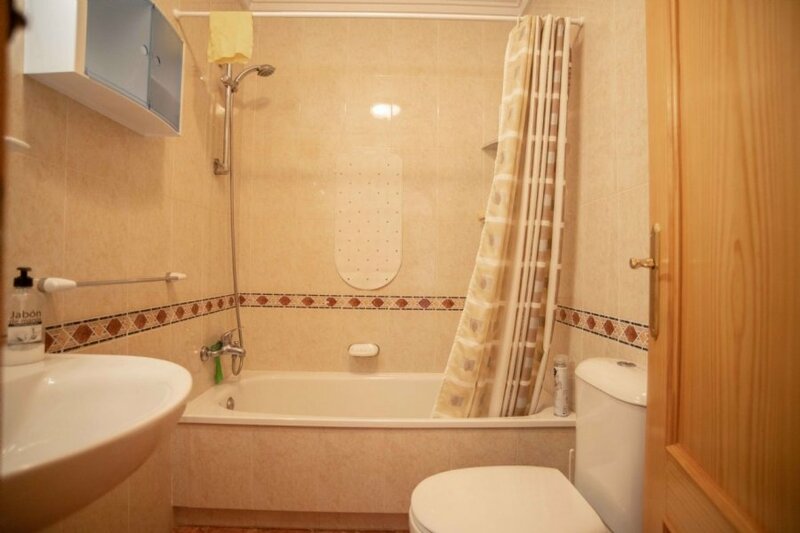 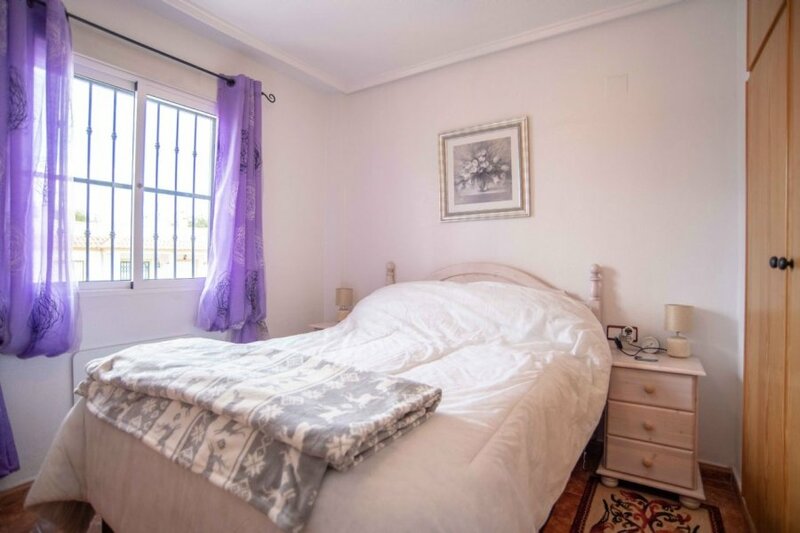 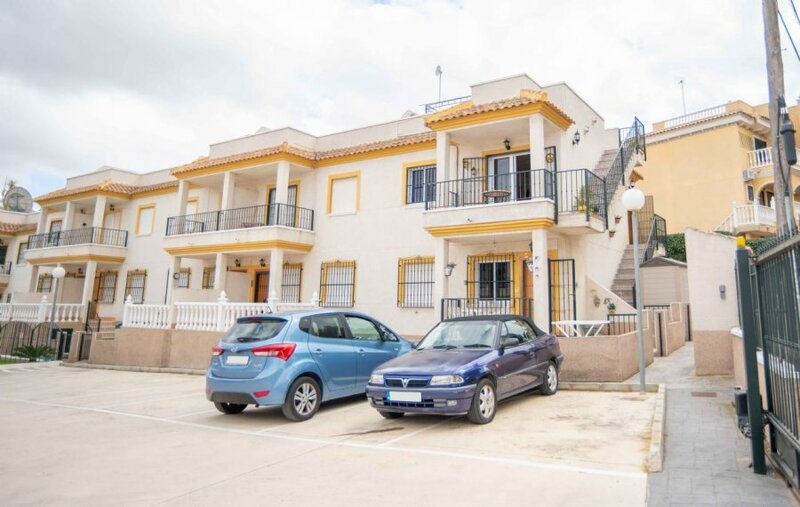 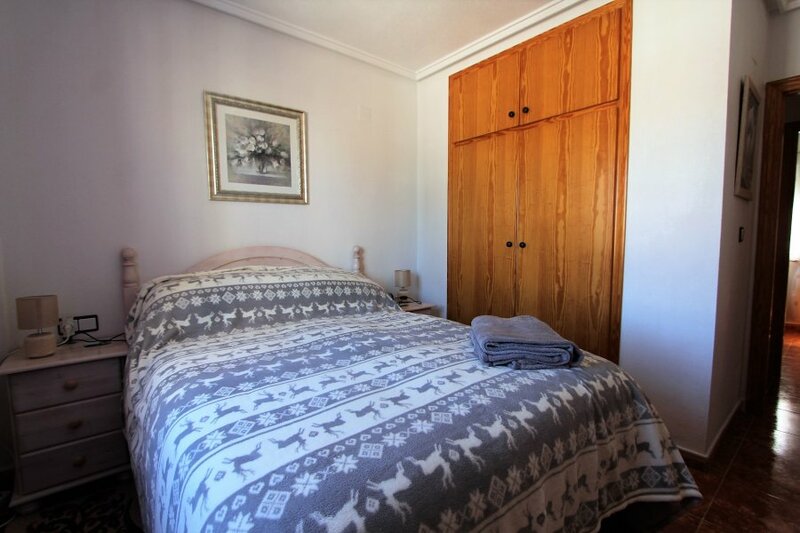 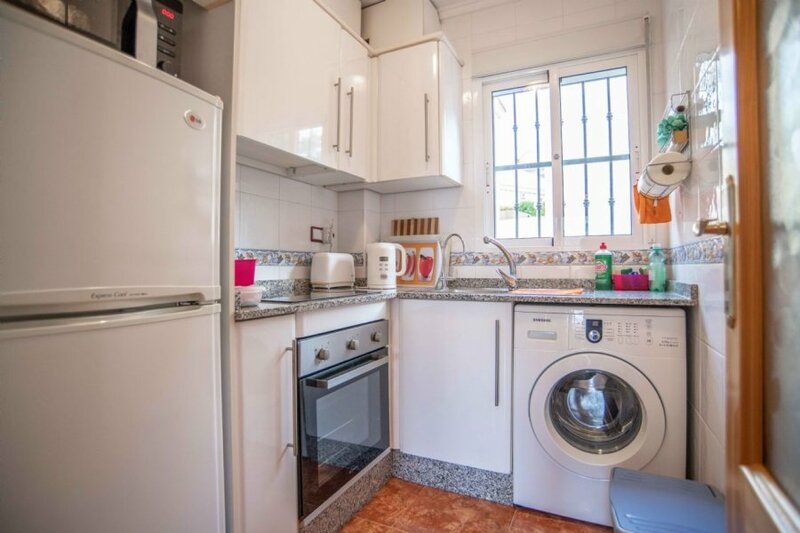 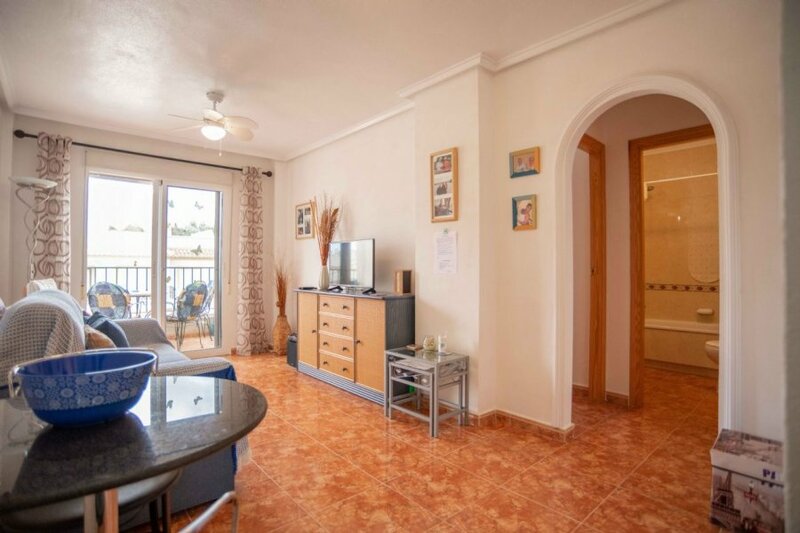 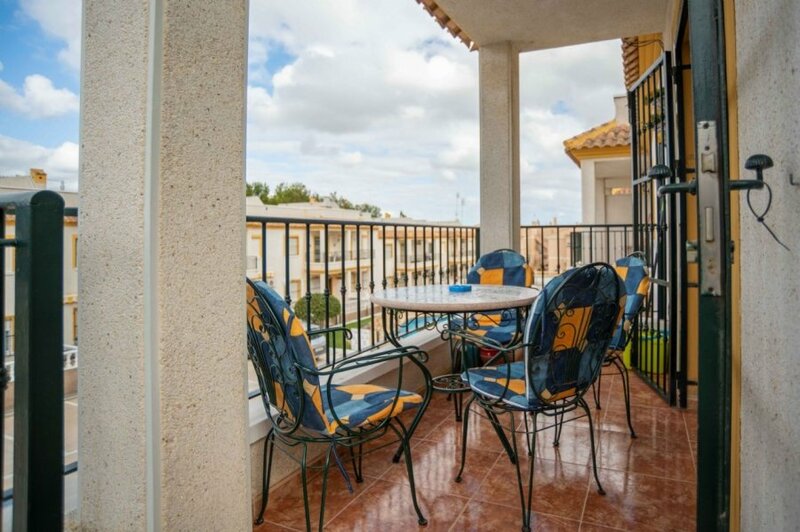 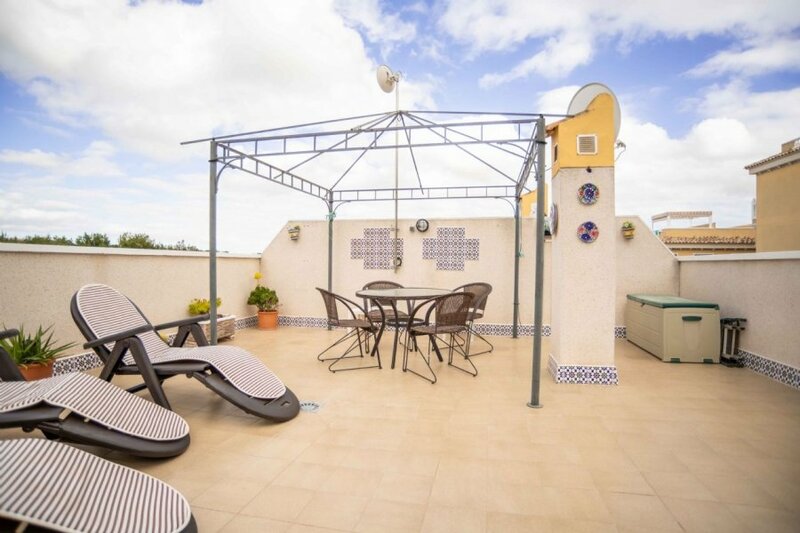 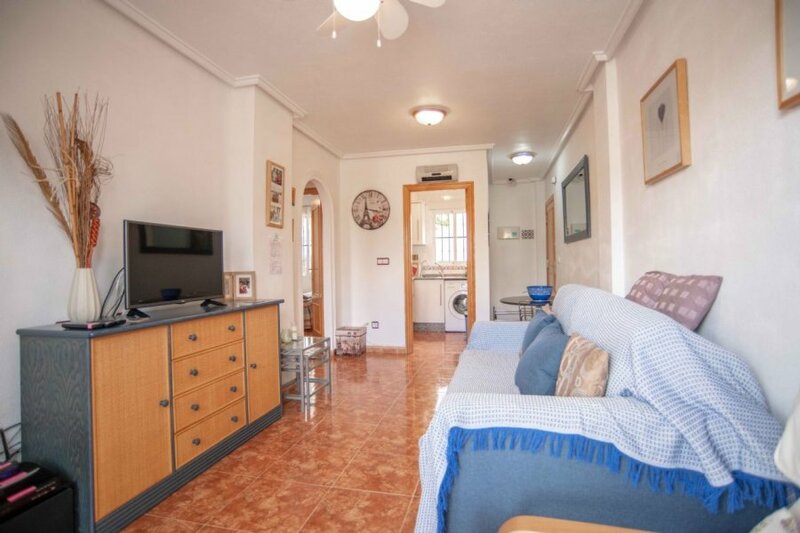 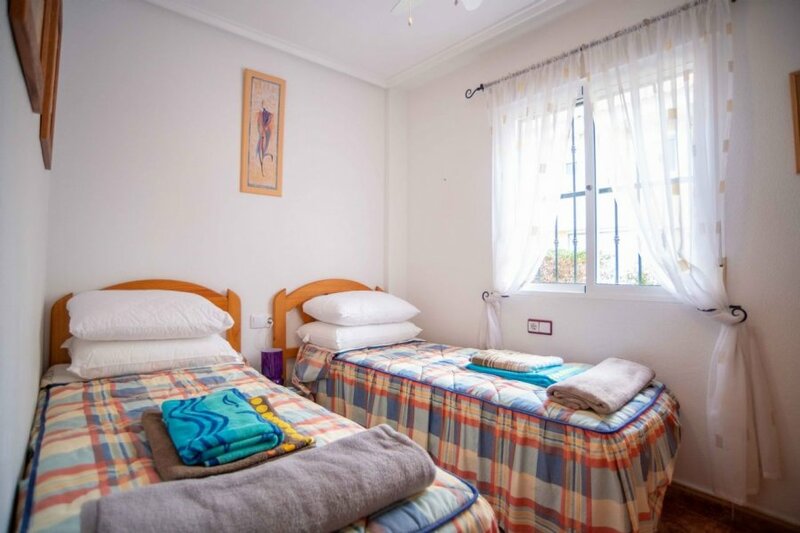 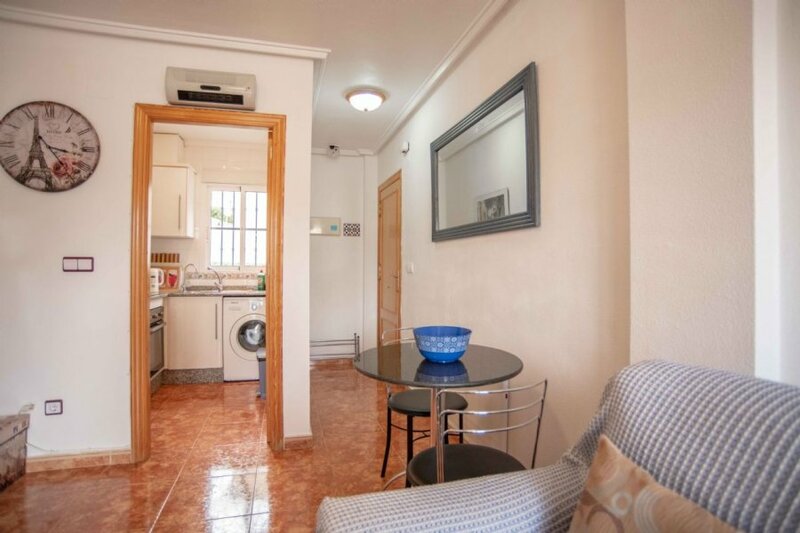 We are pleased to offer for rent this LOVELY TOP FLOOR APARTMENT, which is located in Montemar, Algorfa and is available to rent on a short term basis. 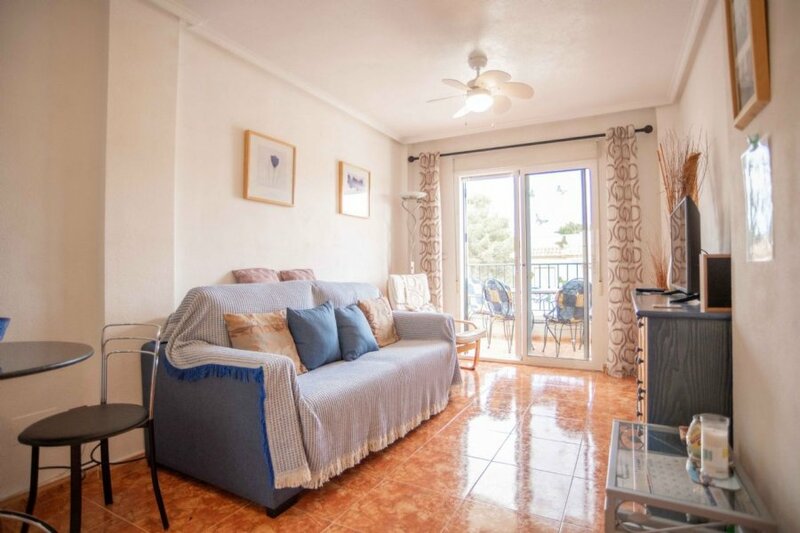 As you enter the apartment there is a generous sized living area with an independent fully fitted kitchen, from the living area there is the family bathroom, which is fitted with a tub and shower and then you have two generous sized bedrooms with ceiling fans and the master bedroom having fitted wardrobes. 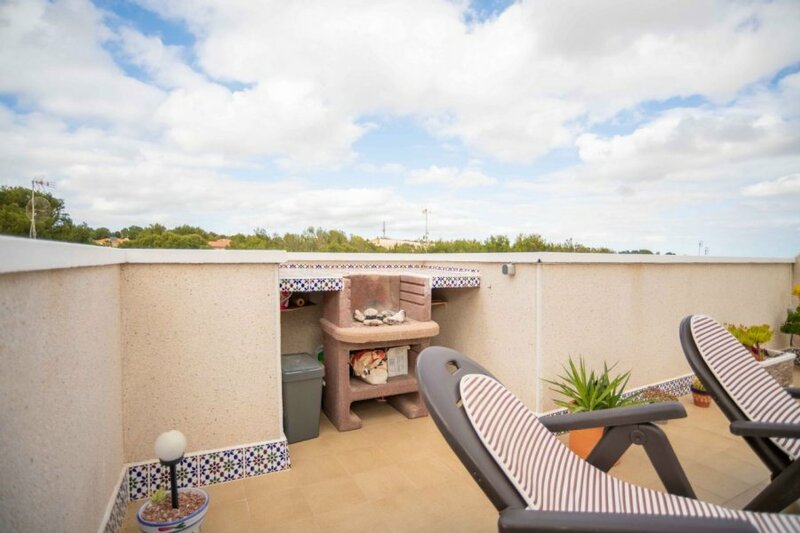 Moving back to the lounge you have access to a lovely terrace that overlooks the community pool and gardens, which has a stairway up a stunning solarium that has a fitted BBQ and Canopy, great for Al Fresco dining or soaking up the sun. 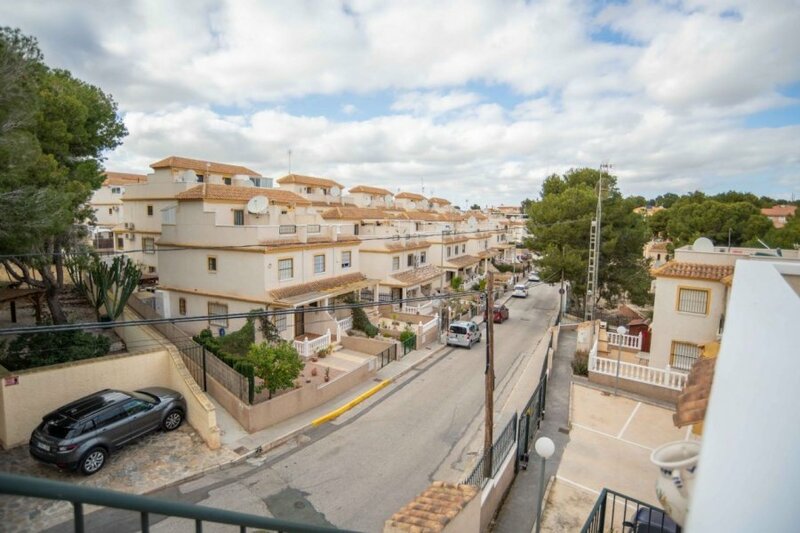 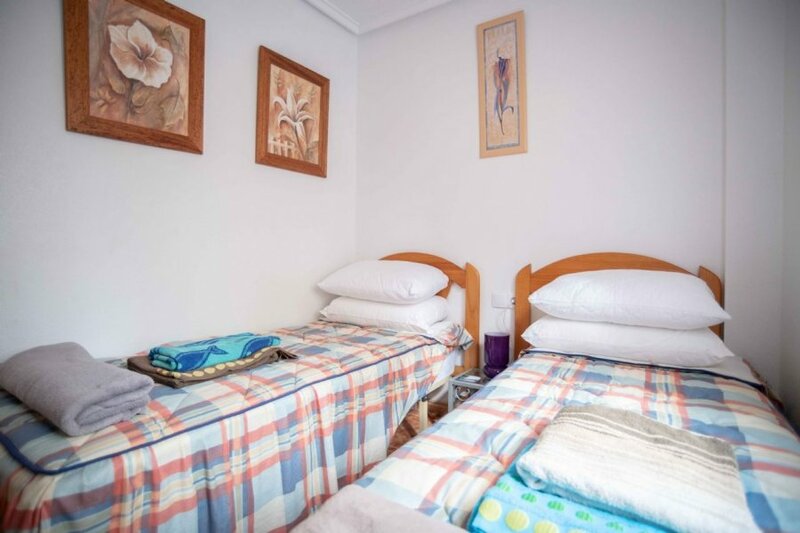 The area benefits from being 35 minutes from Alicante airport and being surrounded by a cluster of beautiful Villages. 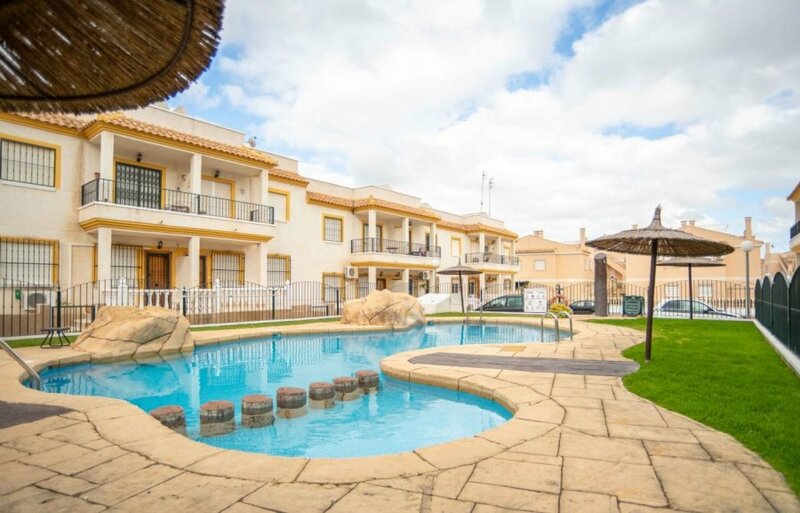 The prestigious La Finca Golf Resort is opposite the urbanisation with an amazing selection of amenities, and award winning restaurants, something for everyone!! 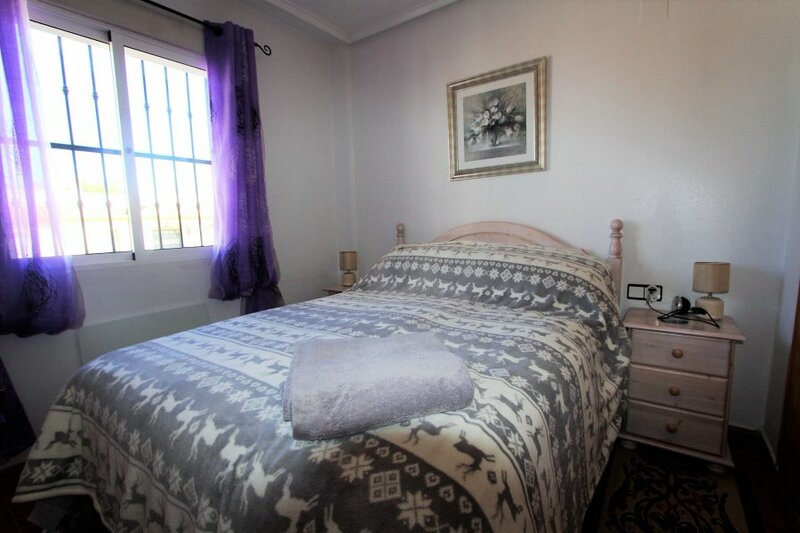 If you are keen on outdoor activities, there is golf, tennis, horse riding, quad biking, paint balling, archery, kayaking and much more close by, plus the beach is only a 15 minute drive away, so contact us today to book this property – thank you for looking.